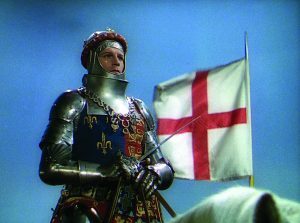 Four films screen for free on select Mondays at The Old Globe, including Henry V from 1944, June 29 at 8:15 pm. Film critic Beth Accomando offers details. 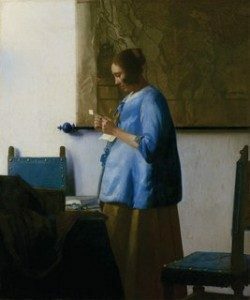 Johannes Vermeer, “The Woman in Blue Reading a Letter,” about 1663-64. Oil on canvas, 18 5/16 x 15 3/8-inches (49.6 x 40.3 cm). Rijksmuseum, Amsterdam. On loan from the City of Amsterdam (A. van der Hoop Bequest). Image: Rijksmuseum, Amsterdam. What’s not to love about a slick instrument salesman? Moonlight’s All Shook Up with all Elvis hits has left the amphitheater in Vista. Next up is The Music Man. David Engel, a San Diego Musical Theatre vet, plays Harold Hill, the slick instrument salesman. 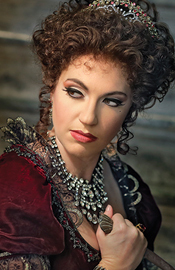 July15 through Aug. 1, with 125 in the cast and orchestra. The season continues with Shrek the Musical and Big Fish. Too shouty? Screws up auto-correct? ArtPower loses its loveable exclamation point! and gains a new director. 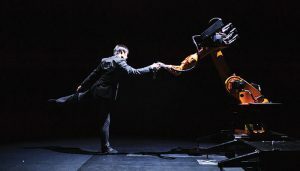 The 2015-16 Season includes music and film, and three dance performances: Huang Yi & KUKA, Kota Yamazaki/Fluid Hug-Hug Dance Company, and Idan Cohen Dance Company. 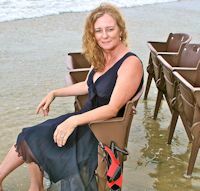 SanDiegoStory.com will meet new director Jordan Peimer now that he’s returned from the Oerol Festival in the Netherlands. Huang Yi Kuka Dance. Presented by ArtPower. Blythe Barton Dance returns to the San Diego Fringe Festival to present Reverberate in partnership with the classical music offerings of the Neave Trio. BBD and Neave Trio first paired together at ArtPower’s Wonderland in the fall of 2013. 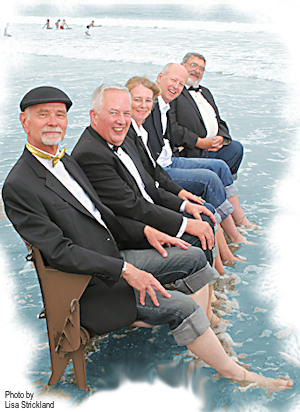 The Fringe Fest runs July 23 thru Aug. 2. What a line-up for San Diego this summer. We are honored to be part of such a noble list.